Can you believe that summer is almost gone and fall is just around the corner? There was a little nip in the air this morning, and it really put me in the mood to do a little fall decorating. 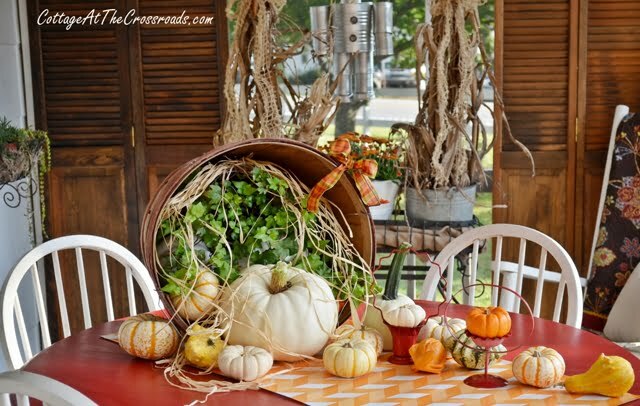 And to provide you a little fall inspiration, the All Things Creative Group is bringing you over 50 ideas for fall decorating, crafting, and cooking. When I was looking back in my fall posts, I ran across this tablescape that I did over 2 years ago. 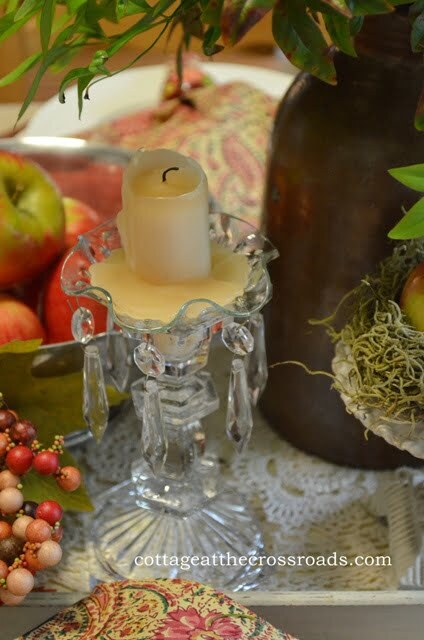 The tablescape is a celebration of one of my fall favorites-apples! The simplicity of the centerpiece makes this fall tablescape timeless and easy so I linked up this one. 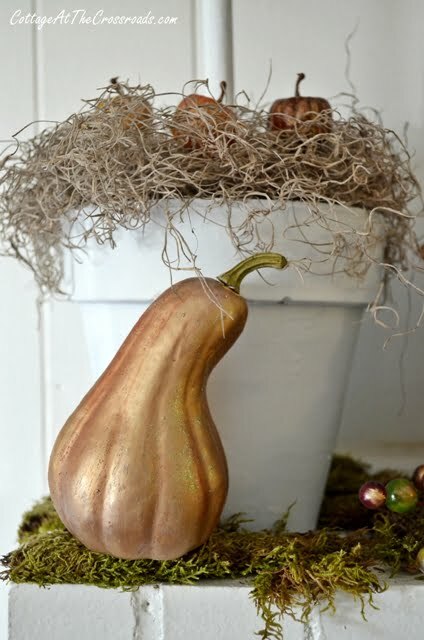 Last year I figured out a way to take cheap plastic pumpkins and gourds and give them a burnished look. I thought some of you might like a second look at that post, so I’ve linked that one up, too. 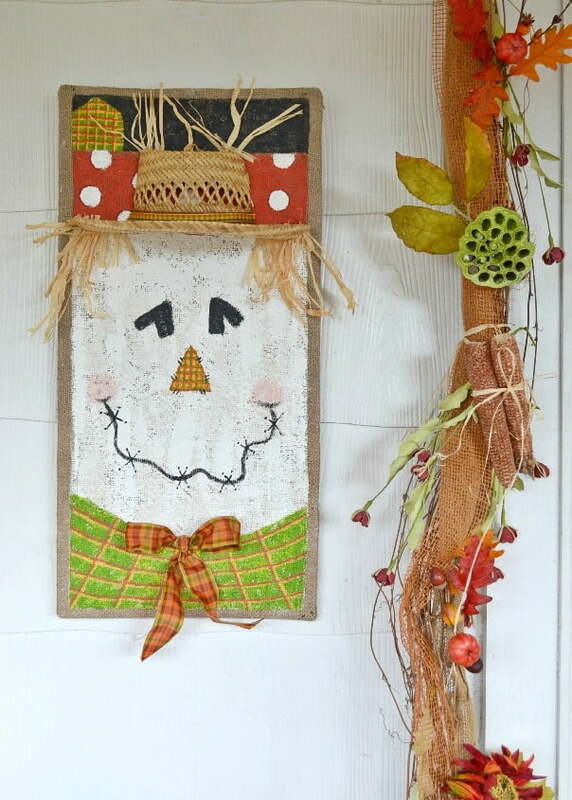 Last year, I really had a fun time decorating the front porch with scarecrows so I’ve linked up my post on how to paint scarecrows on burlap. And just in case you missed our fall porch tour last year, I’ve linked that one up, too. 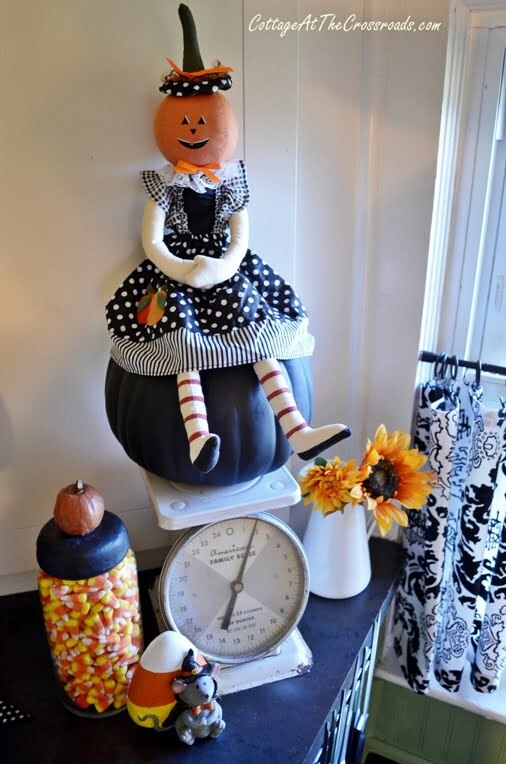 And I had lots of fun adding whimsical decorations in my fall kitchen last year so I thought you might like to see that, too. I can’t wait to bring out the fall decorations, can you? 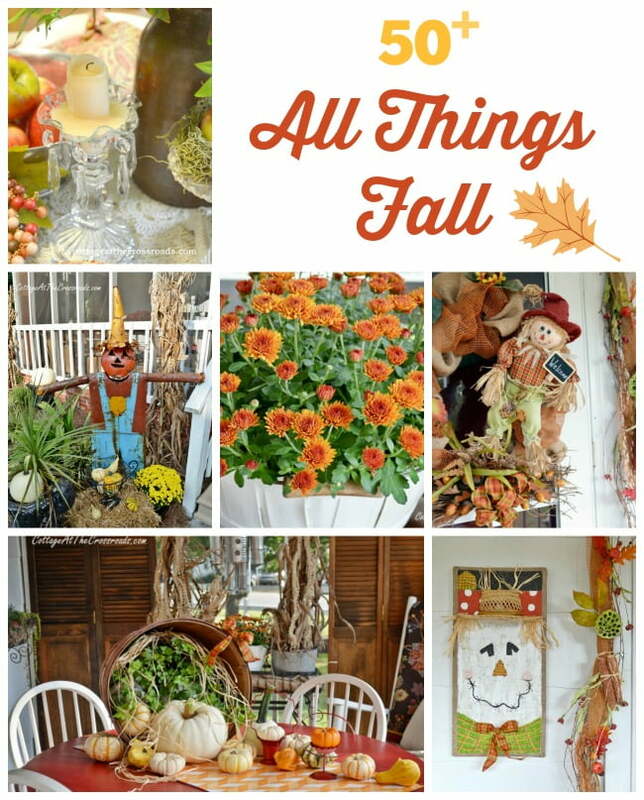 Click on any of the links below to see more fall inspiration from the other members of the All Things Creative group. You always have the most amazing decorations every season, Jane. I’m a little behind this week but pinned and thank you for all of the amazing ideas, as always!! Your scarecrow always makes me smile Jane. It is just adorable 🙂 There’s a nip in the air here today it’s only 60. I think Fall is just around the corner, maybe sooner in my parts. Pinning!! I have to get a moved on getting access to my fall items. So much I would like to tackle. Hope I get it done! No nip in the air here on LI in NY. A beautiful summer day, going up to 85, perfect for the beach. It isn’t Fall here till the 22nd, plenty of time for Fall, I want to enjoy summer while it is here. Winter comes soon enough. I know you Southern gals feel differently, but after the winter we had , no one around here wants to push summer away! I’ll think about Fall in a month. I love your scarecrow… so cute! You my friend totally inspire me every Fall. You always have the cutest decor and ideas!